Covering almost a third of Portugal, this southerly, sun-drenched region is vast and varied in every sense from the differing landscapes and huge varieties of soil types. As a reflection of its ‘big volume’ past, six cooperatives account for about 85% of the region’s production, but it is the 40 plus individual producers who are pushing out the quality frontiers through investment. The cooperatives are now following suit. The result is one of Europe’s most exciting wine regions. With UNESCO world heritage towns, stunning countryside and mouthwatering cuisine, the Alentejo is a must on a Portuguese wine tour. 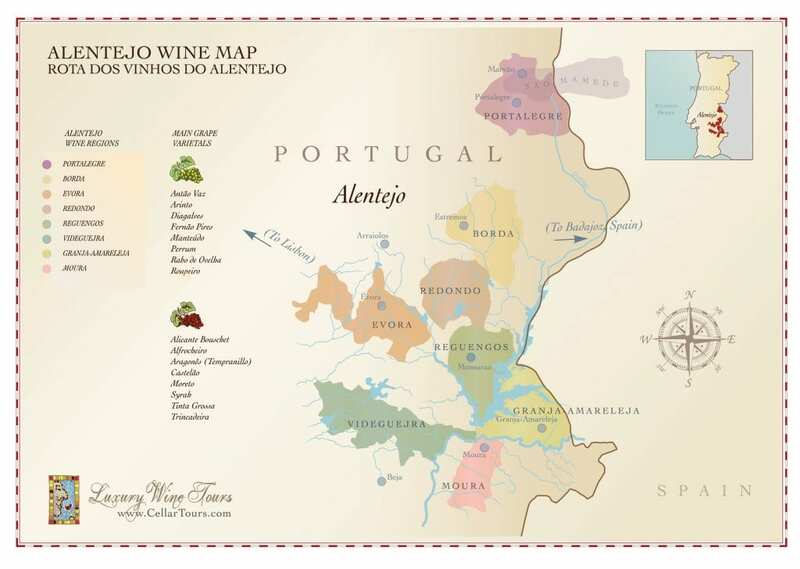 Embed Alentejo Wine Region Map on your site: copy and paste the code below.